DAY 4: Dive the jetties of Airborek and around the Penemu area, in My Reef, Melissa’s Garden, The Lagoon, etc. Afternoon ascent to viewpoint in Fam. Overnight sail to Misool. DAY 5: Two dives in Sagof, afternoon in Baby Rock and night dive in Nudi City (Gamfi). DAY 6: Shadow Reef (aka Manta Mountain), two dives in Jamur Boo (Boo Rocks) and night dive in Yilliet. DAY 7: Dive the fabulous reefs of the Fiabacet group, such as Nudi Rock, Tank Rock, Whale Rock and night dive in the small Yilliet. Optional visit to Misool Eco Resort. DAY 8: Diving the caves in Goa Farondi, The Friendly Canyon and Razorback, and tender boat tour to the lagoons, plus visit to cave with bats and stalactites in the afternoon. Overnight sailing to Batanta. DAY 9: Two muck dives in the morning on the black sand slopes of South Batanta, such as Black Beauty or Happy Ending. Sail back to Sorong to fly the morning after. DAY 10: After breakfast, check out and transfer back to Sorong airport. DAY 1: Check dive and night dive in one of the muck sites inside Kalabahi Bay, such as Pertamina jetty or Mucky Mosque. DAY 2: Dive the most emblematic sites of the Alor straits, such as Clownfish Valley (with the largest anemone fields in the world), the walls at Cave Point or Babylon… Overnight to Wetar. DAY 3: Dive the west coast of Wetar, on the fishy walls around Tanjung Nunukae and the small satellite island of Reong. Visit to the nearby village to look for salt water crocodiles. Overnight to Gunung Api. DAY 4: Dive around the volcanic island of Gunung Api, literally “Fire mountain”. Although dormant, this island is famous for hosting a large population of sea snakes underwater and myriads of sea birds flying above the surface. Overnight to Lucipara. DAY 5: Dive the impressive walls of the Lucipara and Penyu island groups, a small group of sandy keys featuring massive barrel sponges, schools of surgeons and carangids underwater, with common sights of pelagic fauna. Overnight to the Banda Islands. DAY 7: Cultural visit around Bandaneira, the heart of the Spice Islands: Fort Rotterdam, the Governors House and the nutmeg plantation. Dive Batu Kapal around noon and Pulau Soanggi in the afternoon. Overnight to Nusa Laut. DAY 8: 2 dives at the famous site Ameth’s Knoll, a reef parallel to the coast that the local villagers have protected since the old times, to allow fish to spawn and spill over to adjacent areas. Afternoon and night dives at the next village to the south. DAY 9: Dive the south coast of Ambon, in signature site Pintu Kota (a massive arch underwater with big fans, soft corals and schools of fish. DAY 10: 2 muck dives around the jetties at the Twilight Zone, with a vast array of critters and oddities to be found. DAY 11: After breakfast, check out and transfer back to Ambon airport. Un bateau très bien organisé pour les plongeurs. Tout est fait pour faciliter le séjour. Un équipage de choc attentionné, un chef cuisto aux petits oignons avec les hôtes. Des minis découvertes de la région sont également organisées entre deux plongées. 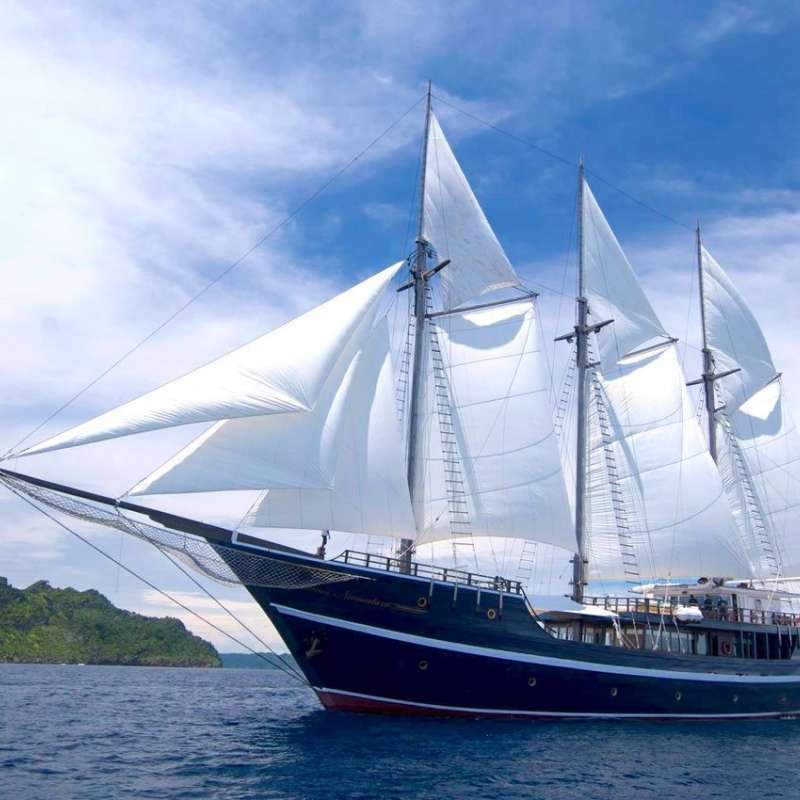 I went onboard Ondina on August 2016 for Komodo, the crew were super helpful and very friendly, the cabin was in a good size and clean, the common area were large and cozy, on the upper deck, on the main deck and on the back of the dive room - you can always find your spaces. The food were really really good, and the diving team were very organised and professional. They even included an Island visit during our trip. The only thing was not perfect : all the cabins only provided warm water (body temp), and after 3 or 4 dives of the day, it's really cold to take shower in the cabins. There were 2 common shower with hot water on the main deck located in the wetsuit/equipment washing room. But just image that there are 7 other divers waiting for shower, you better be fast!! All in all, it was a great trip. 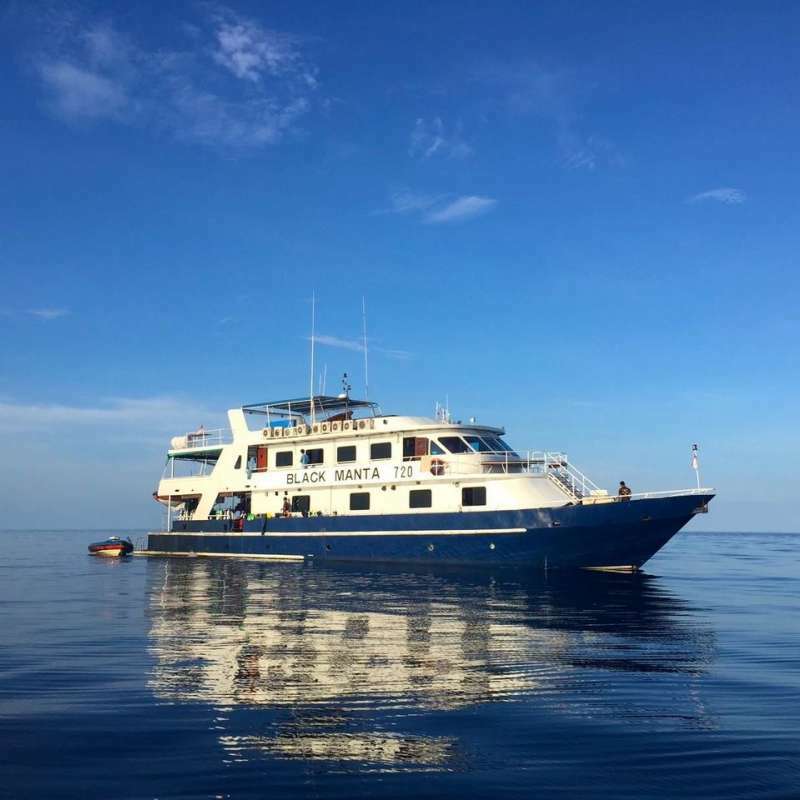 I spent 10 days diving on Onida, it was a very good boat, excellent friendly crew, great dive guide, Very good value for money, ideal for those who wanna a bugget liveaboard trip in Raja Ampat. Only thing wasn't so good was i have to pay extra for Nitrox, but i guess it was normal for most of liveaboard trip. Food onboard was good also! I enjoyed it. And Raja Ampat was really as amazing as people told me, definitely worth going! I will go back for it again next year!